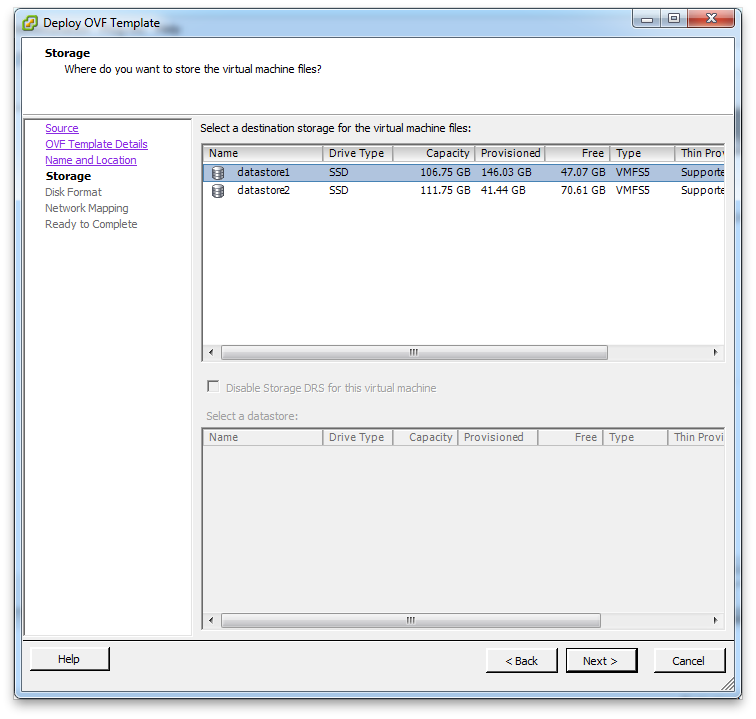 Once you have ESXi 5.1 up and running download the CSR1000v OVA (Open Virtualization Archive) file here. Note that you will need to use your Cisco CCO login to download. 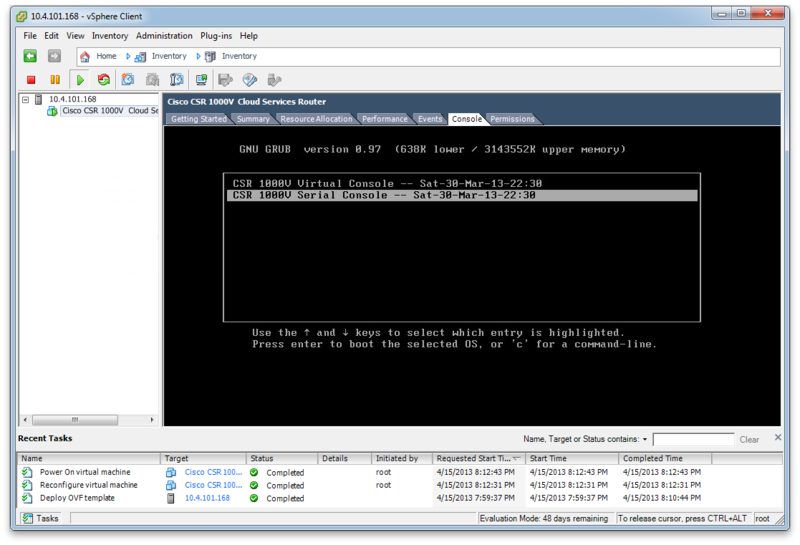 Once the download is complete you need to open your vSphere Client and connect to your ESXi server. 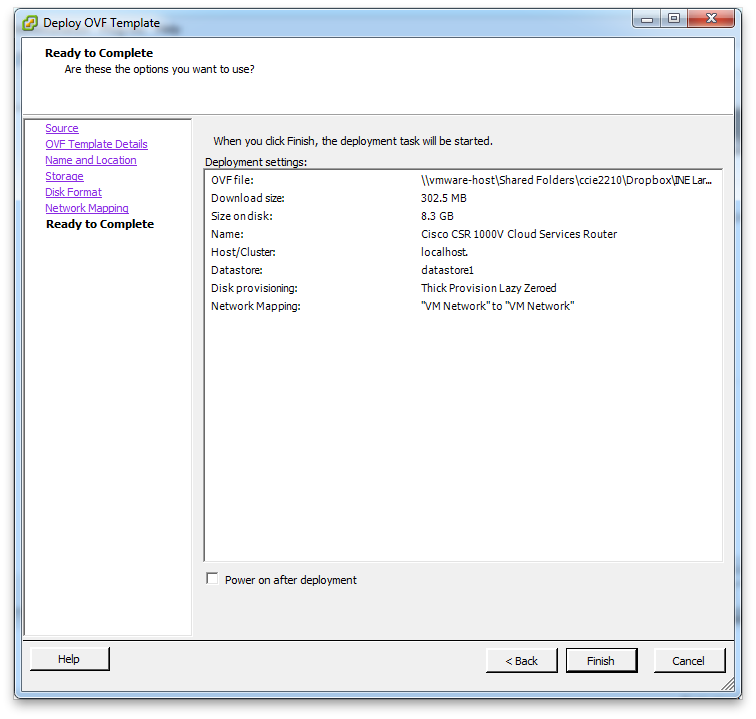 Once connected select the Deploy OVF Template option from the file menu. Select the source of the OVA file you downloaded from your local machine. The next screen should be simular to the one below after the source has been selected. The next screen will display the name for the virtual machine. You can change this if you would like. Next you will be offered the select the disk format. The default option of Thick Provision Lazy Zeroed is fine but for better performance you can select Thick Provision Eager Zeroed. To read more on the options go here. The next screen will ask you for the mappings for the three Gigabit Ethernet interfaces that are defined in the OVF file. Just select the default here for now and we'll come back to them after our machine is installed as we need to make a couple other changes anyways that can't be done here. The next screen will be a summary screen so just click finish and then VMWare will start importing the OVA file. 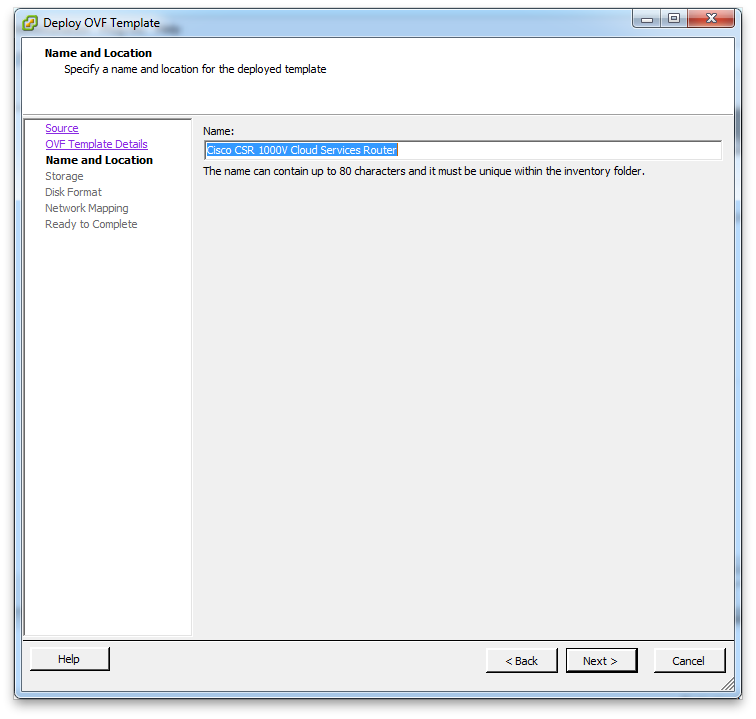 It may take a few minutes to import depending on the connection speed between your vSphere client and the ESXi server. Once your machine uploaded you can then edit the settings. 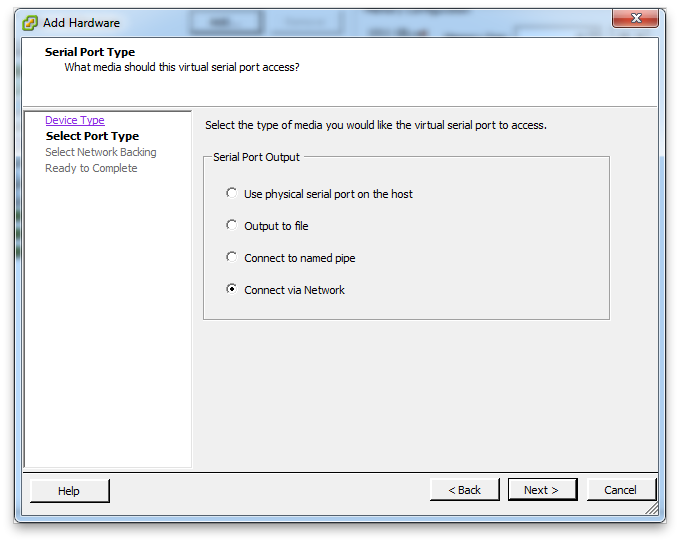 From here click "Add.." and then select Serial Port and click "Next"
Now here is where you want to select "Server" and then enter the IP address of the ESXi server along with the TCP port you want to assign to this machine. Also check "Connect at power on". After this click finish and we're ready to start up the CSR1000v. Once booted you should see the GRUB menu. Select CSR 1000V Serial Console and hit enter. 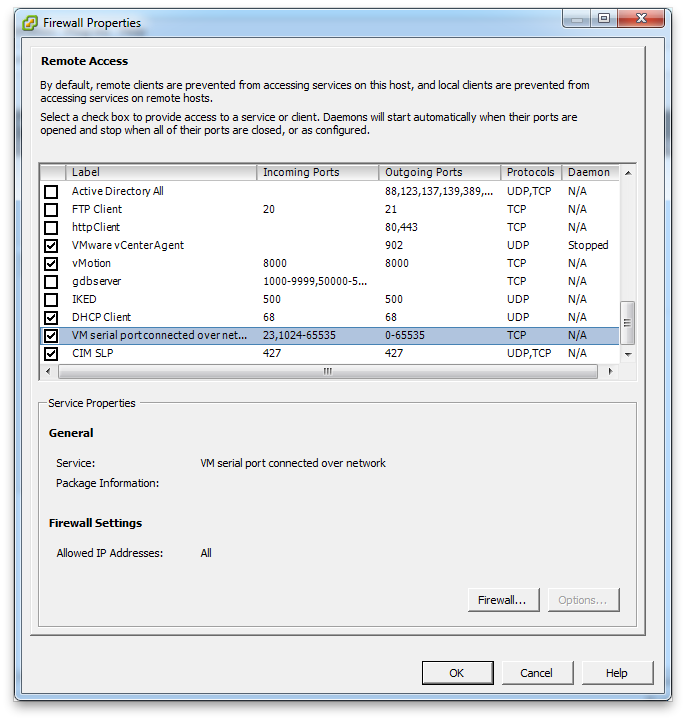 You will need to alter the default security settings for the ESXi server to allow TCP port 2005 or whatever port you selected to allow you to telnet to the CSR1000v's serial port. 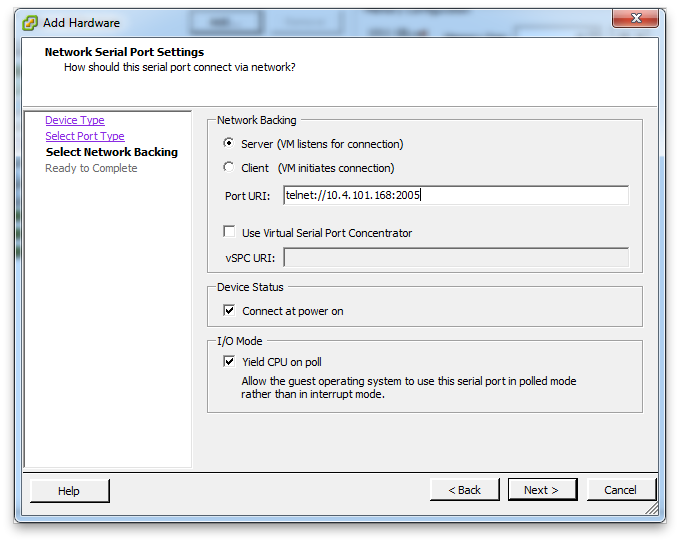 To alter the security settings go to the ESXi's configuration and then select "Security Profile"
Here you will need to allow TCP port 2005 or if you are in a lab environment just select "VM serial port connected over network" which will open up all TCP high ports. Now telnet to the IP address of the ESXi machine and port number you entered for the serial port and you should see the router booting. Press enter to boot the selected OS, or 'c' for a command-line. Entry 0 will be booted automatically in 1 seconds. cisco CSR1000V (VXE) processor with 1141424K/6147K bytes of memory. 7774207K bytes of virtual hard disk at bootflash:. *Apr 16 03:17:58.400: %IOSXE-5-PLATFORM: R0/0: xinetd: xinetd Version 2.3.14 started with no options compiled in. *Apr 16 03:17:58.434: %IOSXE-5-PLATFORM: R0/0: xinetd: xinetd Version 2.3.14 started with no options compiled in. At this point I haven't activated the license so the router is limited to 2.5Mbps throughput. 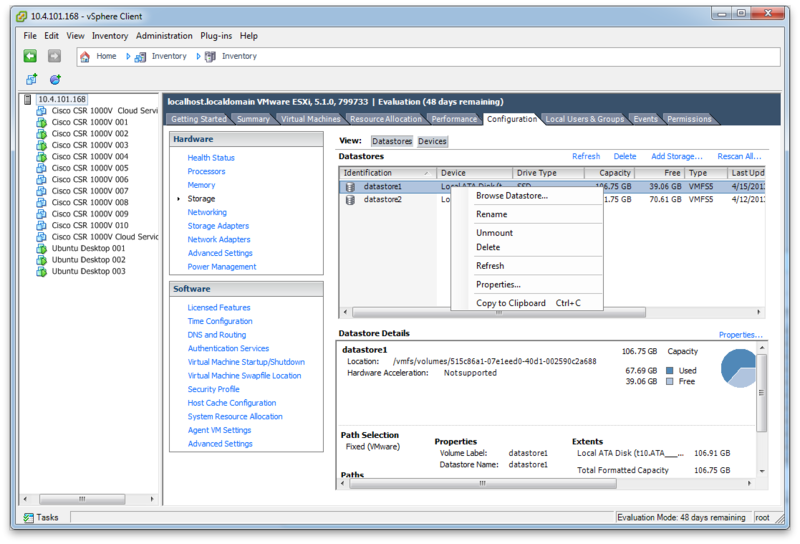 To activate the demo license use the platform hardware throughput level command in global configuration mode. Router(config)#platform hardware throughput level ? BY ALL THE TERMS SET FORTH HEREIN. Cisco for your use of the product feature beyond the evaluation period. your acceptance of this agreement. This technically isn't needed if you are going to use it in a lab environment. At this point your router is ready to go. Now that my router is ready to go I'll clone it because a single router isn't much to learn on. Ideally if you are going to reuse this machine in the future you wait to activate the license after the device is cloned. 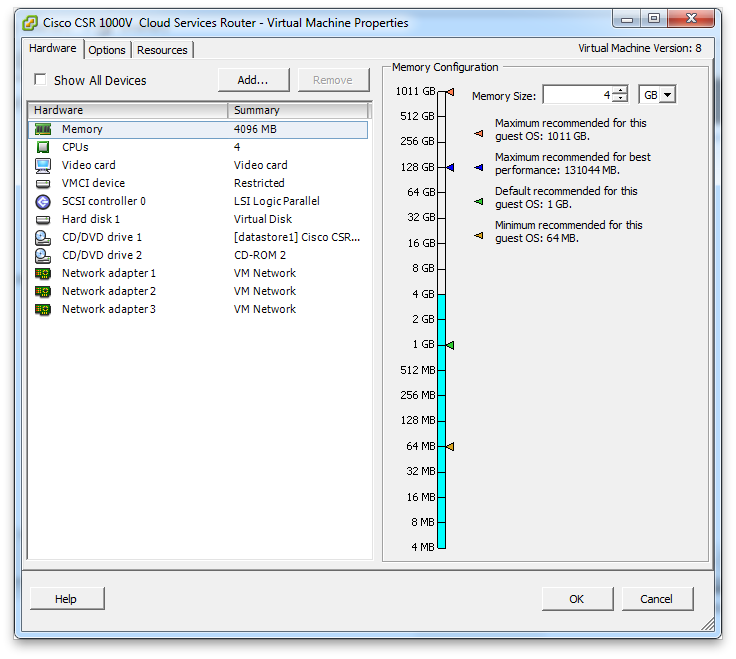 To clone the machine go to the server configuration tab and then select the datastore where you installed the CSR1000v onto and then right click on it. From there select "Browse Datastore..."
From here go under the directory for the CSR1000v and copy the contents of the directory. From there click on the root of the datastore and then select the folder icon to add a new directory. Enter the directory name and then paste the contents into the new directory. 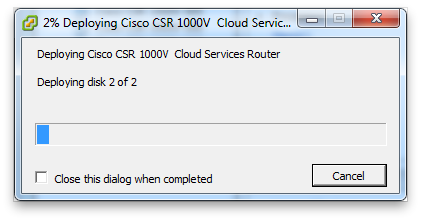 After it has been pasted in, right click on the "Cisco CSR1000v Cloud Services Router.vmx" file and select "Add to Inventory". Change the default name if you would like and select the "Resource Pool" and finally finish. 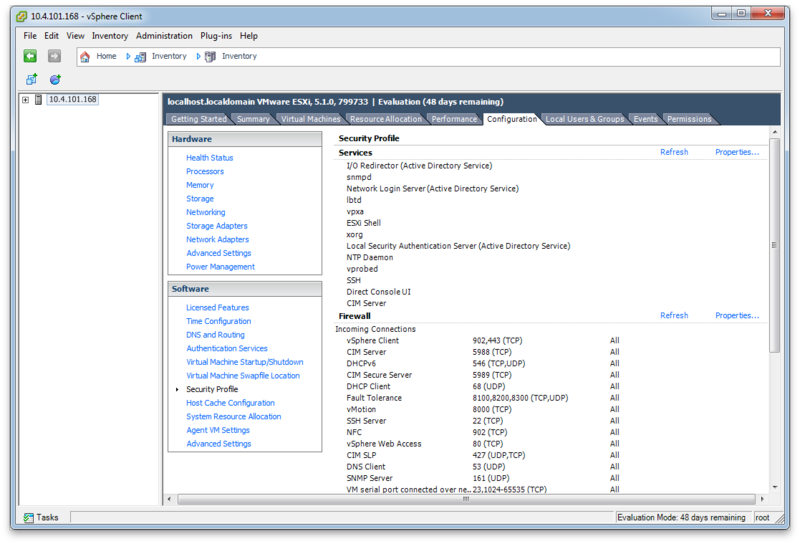 You should now see the second CSR1000v in your ESXi server's inventory. From there we'll edit the settings to change the TCP port number for the virtual serial port and apply any VLANs from the ESXi to the CSR1000v's Gigabit Ethernet interfaces. You are now ready to start up the second router. 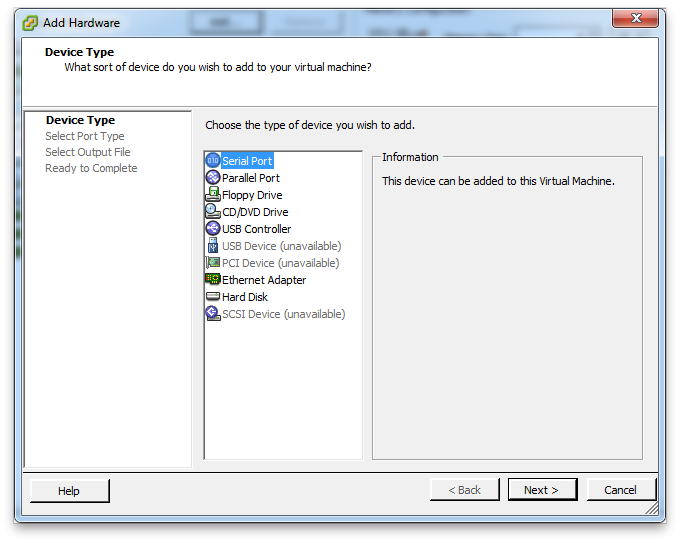 Note that after you start it VMware will ask you if you copied the virtual machine or moved it. Select "I copied it" and then click ok. Your router will now boot up. The router will now be booting up and ready to go. Use the same procedure outlined above to create as many routers as you like. 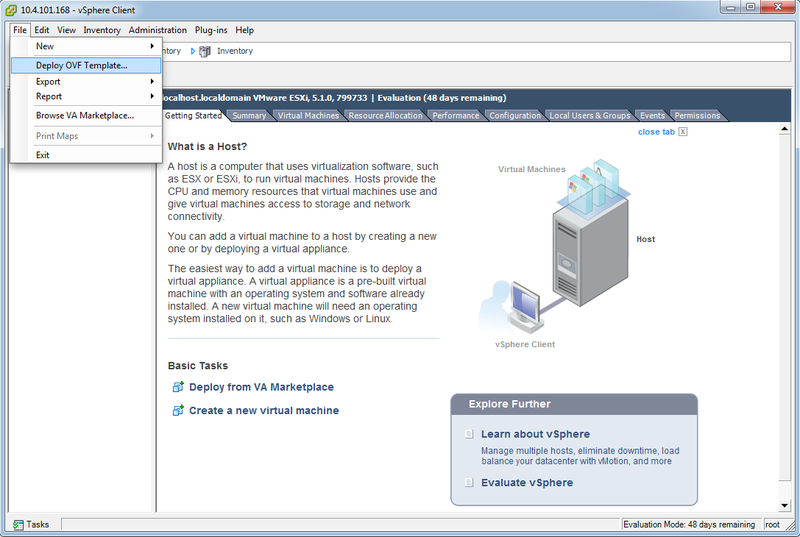 You will of course want to create VLANs within the ESXi server to allow communication between the routers. 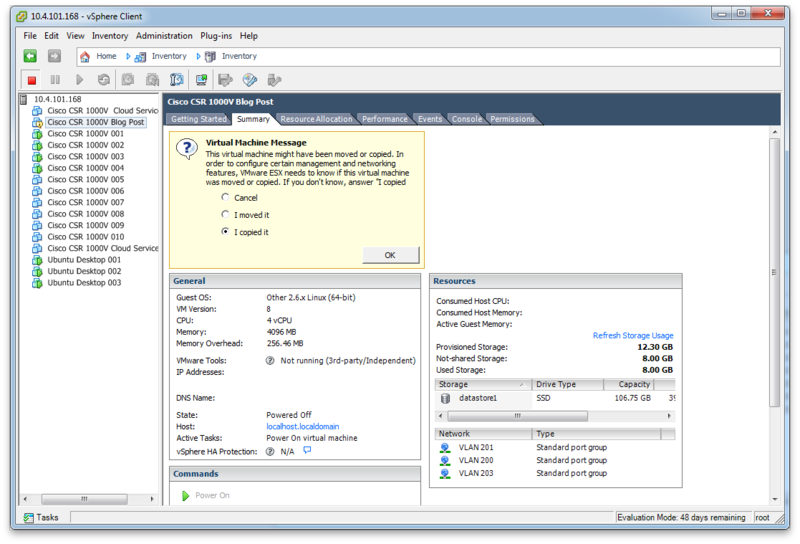 For an overview of how to manage the ESXi's networking configuration go here. 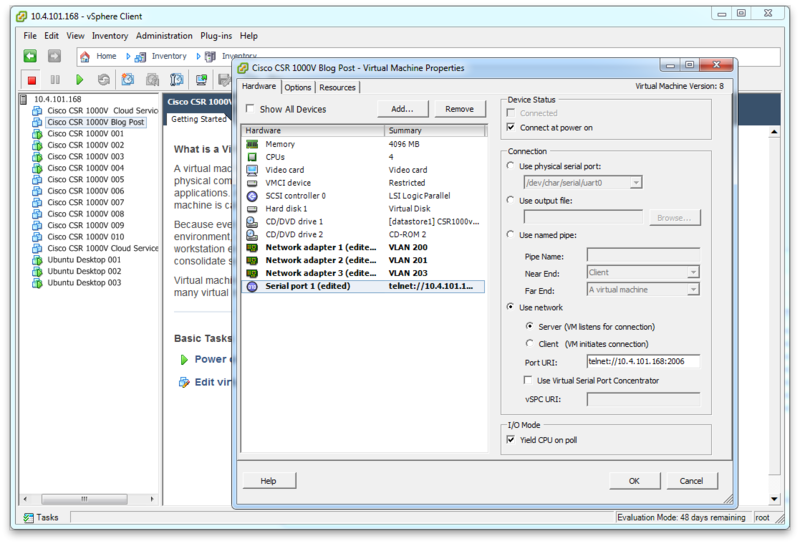 Tomorrow I'll post another installation guide on how to install the CSR1000v in VMware Workstation and use it as a production router providing internet access. Lastly if anyone would like to try out a few of these send me an email and I'll get you access.